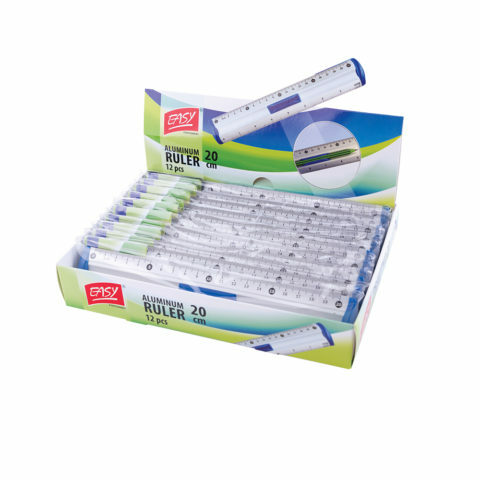 Ruler is an idispensible tool in every home, office and school pencil case. It will serve children as well as adults- everybody who needs precise measurement and straight lines. Straight lines are a base of many projects, so they must be really precise. Easy ruler will make it much more simple- it is made of durable material which makes it very hard and guarantees proper pencil lay down. Aluminium used in this model ensures light weight of the ruler which is vital for those who carry it in pencil cases. For user’s comfort there is a special place for a pencil in the upper part of the ruler. Practical holder makes it always ready for use. Measurement scale is cm and inches. It facilitates work on projects which contain both measurement units. We know how important a long-lasting effect is, that is why we set high standards for our products and we do our best to produce products of the highest quality. Easy brand offers a very wide range of writing products used both at home as well as in the office such as graphite and mechanical pencils, fineliners. Pay attention to products boosting creativity such as scissors with patterned edges, charcoal sticks, pastels. 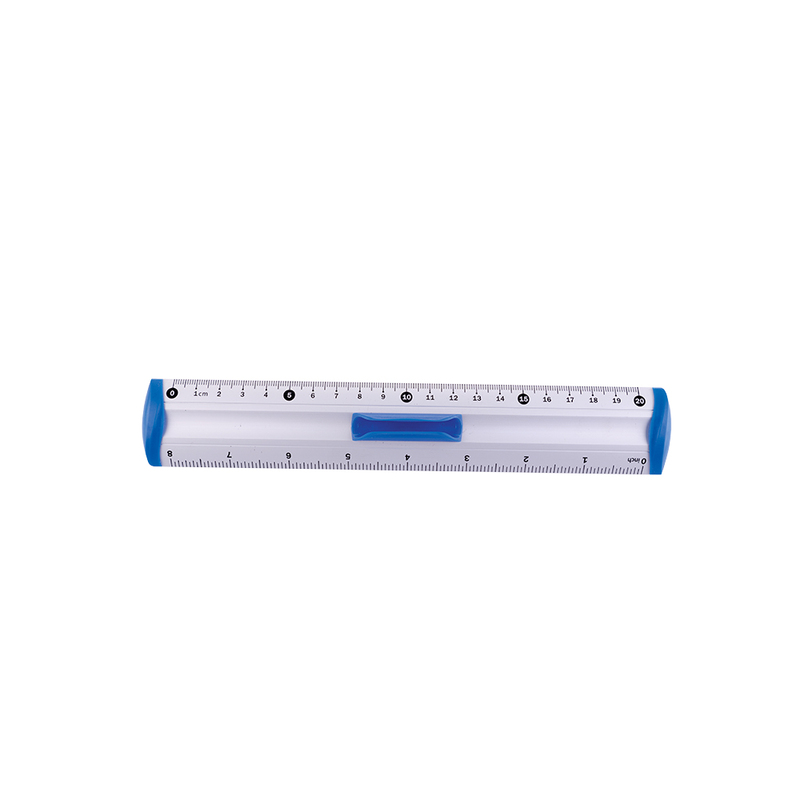 Comfortable ruler made of durable material. A special place for a pencil.